"Ready, set, go!" With a rousing shout, a group of skydivers leaps from an aircraft 13,000 feet above the earth. 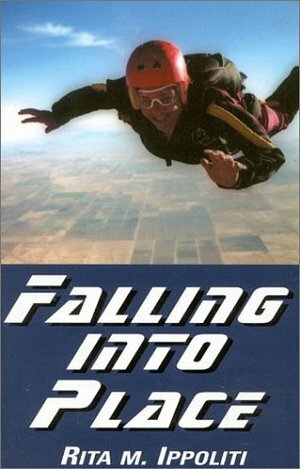 During freefall they build intricate formations before separating to deploy their parachutes and glide in for a gentle landing. Skydivers are a unique breed. Whether world-class competitors or recreational jumpers, all are bound by camaraderie based on the ultimate stakes: life or death. It was into this world that Rita Ippoliti sought entrance. At the age of 40, she wanted to add adventure to a life grown dull. But the odds that an overweight woman with limited athletic ability would take to this extreme sport were stacked against her. Instructors and fellow students, most of them half her age and twice as agile, admire Rita's fierce determination to defy the odds and achieve self-jumpmaster status. After reading Rita's story, perhaps your dreams, like hers, will start Falling Into Place.